Monoprinting on a Gelli plate is simple and fun. The gratification is immediate, and the prints are so cool! If you have never used the gelli plate before, I will show you a basic overview of how to use the plate using stencils. 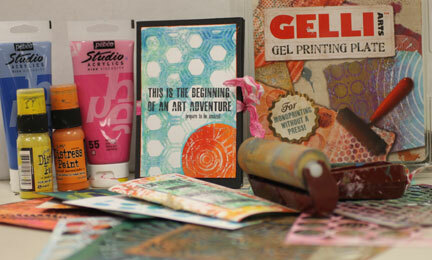 We will have a gelli printing fest!! !